Instagram has given birth to influencer marketing–a strategy where brands partner with personalities with a lot of followers to promote their products and services. Such marketing strategy has been widely contested, and over the years we’ve seen a lot of influencer controversies unfold–from fake photos to stolen photos, controversial content, entitled influencers and so much more. Here are some of the influencer “scandals” that unfolded so far this year. 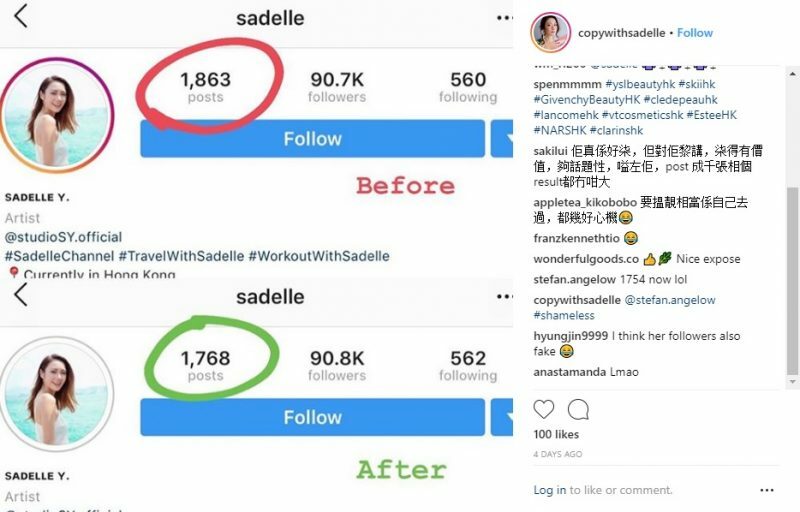 Last month, Hong Kong influencer Sadelle Yeung was bashed online when it was discovered that she stole numerous photos from the internet and posted it on her Instagram account. Sadelle has 92.5K followers and was described by Apple Daily as “key opinion leader” (KOL). The discovery was made when she posted a photo on IG, sharing that she’s going to Italy. 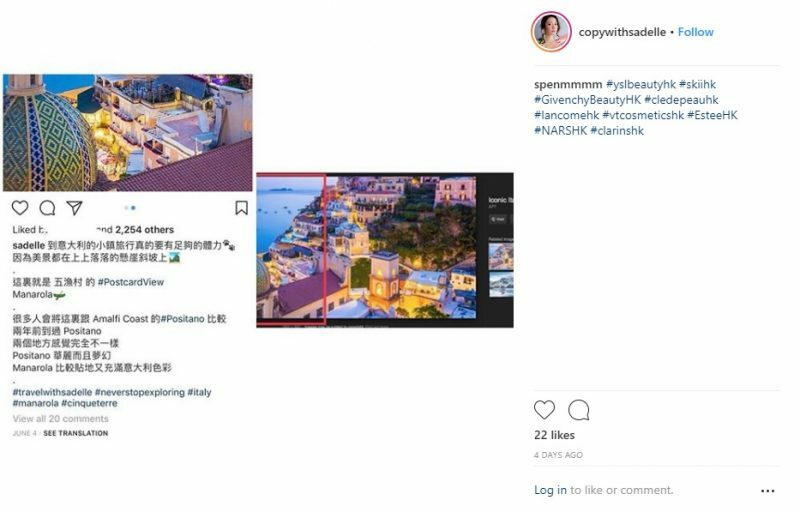 Someone pointed out that the picture she posted of the Amalfi Coast on June 4 was actually a cropped version of a photo from an Australian travel website. Soon after, Pandora’s box was opened, and it was discovered that most of her IG photos were stolen from somewhere else. 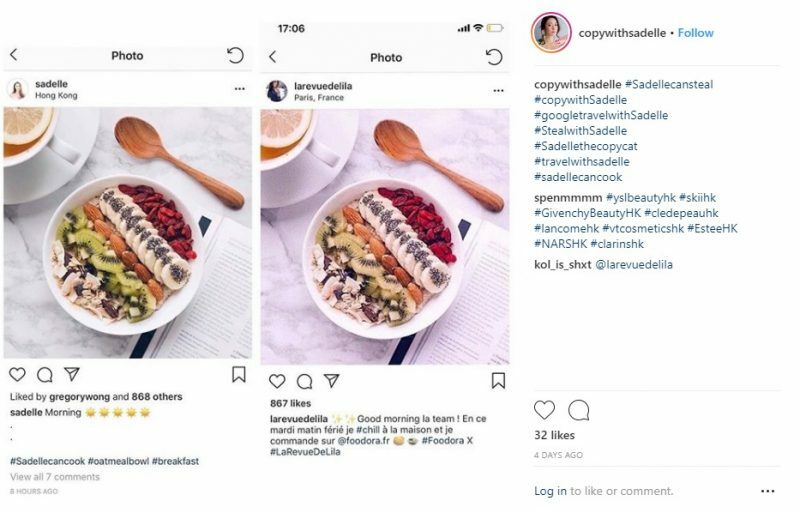 Among the comments left on her page were “Crazy, every single photo here is stolen”; “This entire Instagram account is fake”; and “Wow, she stole so many photos.” Someone even created an Instagram account called @copywithsadelle showing side-by-side comparisons of all the pictures she stole and their original versions. The backlash prompted Yeung to remove around 95 photos from her account. She also defended herself from the criticisms, saying, “Everyone makes mistakes, and it’s not fair to conflate one mistake into a big one.” She, however, eventually deleted her comment. Just like Sadelle, “Pretty Little Liars” star turned influencer was also accused of stealing photos from the internet and posting it on her IG account. The said pictures are from her Shanghai vacation, which some fans claimed look exactly like the 2016 post from Instagram blog Shanghai Now and Then. Another photo from her IG Stories also seemed to be from Canon’s blog post. 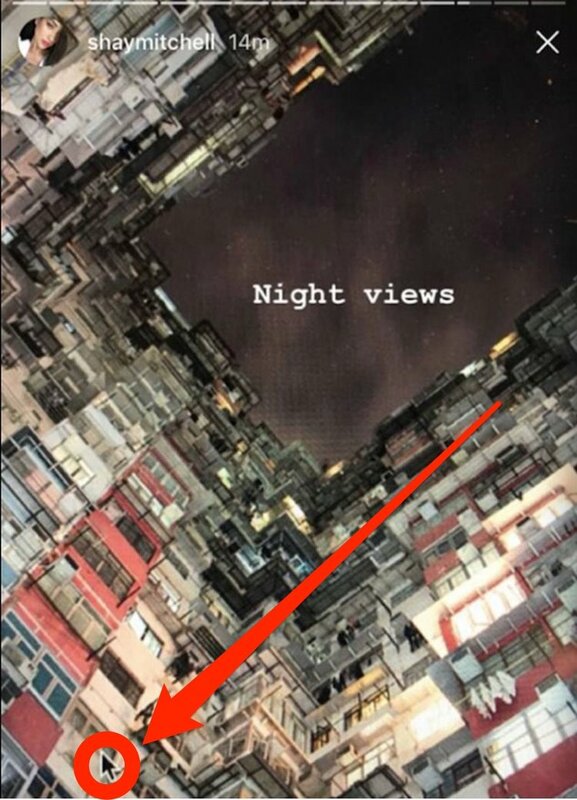 Shay’s post even included an image of a cursor, which suggests that she or someone took a shot of her computer. Despite the alleged stolen photos, it turns out that Shay indeed was in the city at the time, as she also posted pictures of herself in the city. 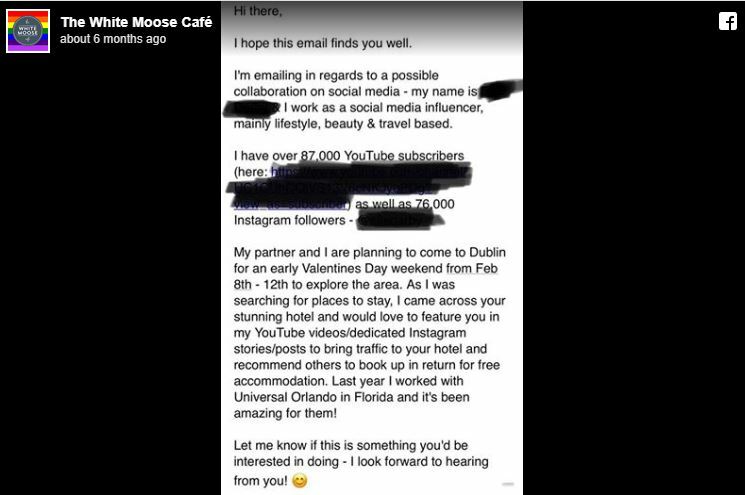 It was in January when Elle Darby, a British vlogger and influencer, received major backlash for asking for a free hotel stay at The White Moose Café and Charleville Lodge in Dublin, Ireland. Sending an email to the hotel and restaurant’s owner, Elle said that she and her partner were going to Dublin for Valentine’s Day and would love to stay at The White Moose Cafe and Charleville Lodge. 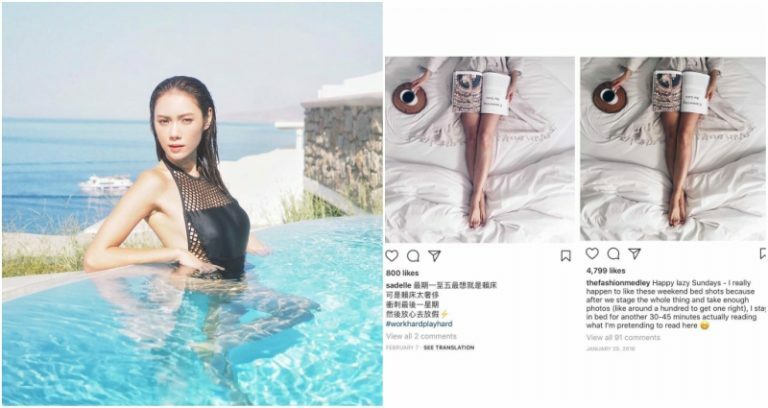 Boasting about her numerous followers, she said that she would feature and promote the hotel in her YouTube videos and IG account in exchange for a free four-night accommodation. Just arrived home after a beautiful weekend with my best pals in Spain and couldn’t be happier ✨🥞💛 I have lots of fun videos coming this week including a #loveisland q&a with miss @charlieannewilliamsx tomorrow EEK 😏 comment below any fun questions you want me to ask her! The issue eventually blew up, as Elle took to YouTube, crying foul and claiming to be the victim when she supposedly asked politely for the free stay. However, netizens still disagreed with her and her approach, calling influencers like her entitled. Stenson clapped back at her video by announcing that all influencers will be banned at his hotel. 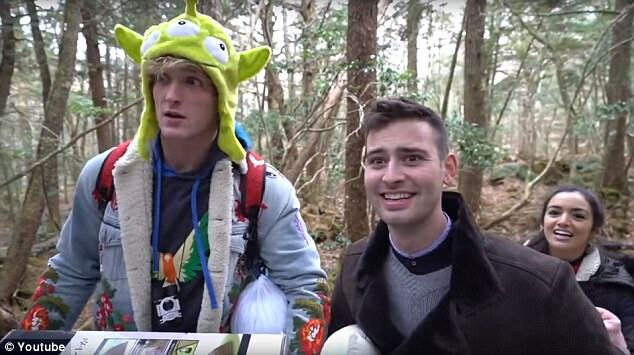 It was in December 31, 2017 when YouTube vlogger and influencer Logan Paul posted a video about Japan’s “suicide forest” where he made fun of a corpse. The video ended up on the Trending page for days before it garnered attention and backlash in early January 2018. 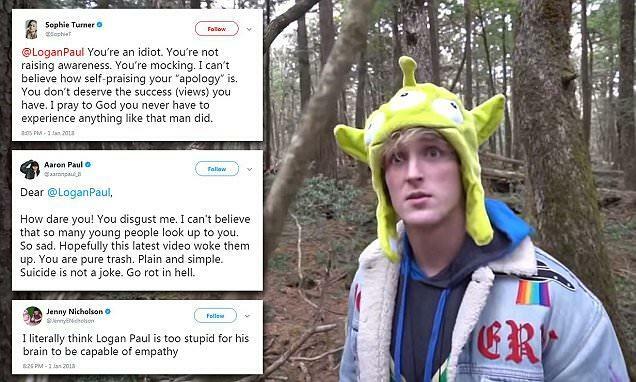 Logan received a slew of criticisms for his insensitivity to the suicide victims in the forest, and he was compelled to apologize not just once but twice. YouTube also was at the receiving end of the backlash for allowing such content on their platform and displaying it on the Trending page. It was only on January 9 when the video platform took action, condemning Logan’s actions in an open letter on Twitter. Some things (or people) never change.